Yutaka Kagaya is a Japanese photographer, astronomer, traditionally known for capturing otherworldly vistas with his celestial photography. 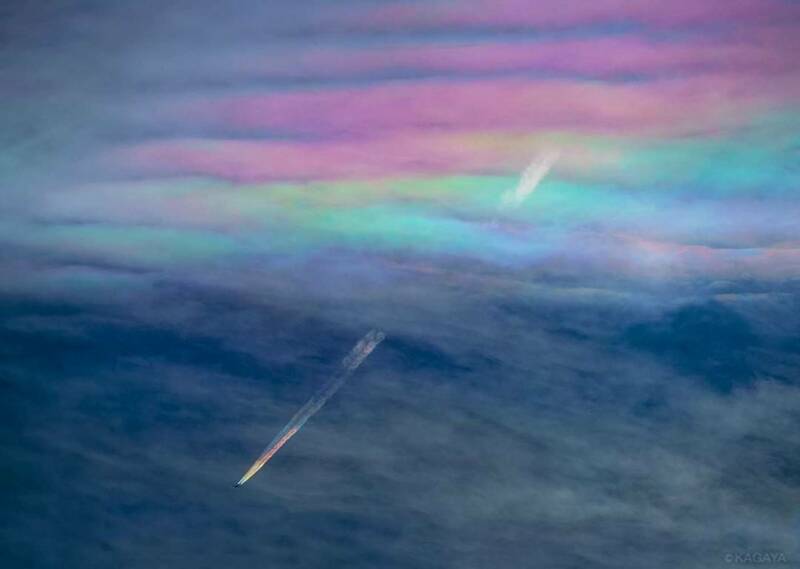 He took it to whole next level when he photographed aero-planes piercing through different cloud layers and producing a visually pleasing phenomenon called Rainbow Contrail. Rainbow contrails occur as a result of stratification when there are small and larger droplets affecting different wavelengths of light in the atmosphere. This results in visible colored layers in the sky which produces a rainbow contrail when there is a sudden reduction of pressure in the air. This is usually caused by a plane passing by, leading multi-colored droplets to freeze and follow the plane during wake turbulence. The Camera & Lens setup included one from the biggest telephoto lenses on the planet. You can read more about Rainbow Contrails phenomenon here. mm lens at f2.8, ISO 100, and 1/8000. 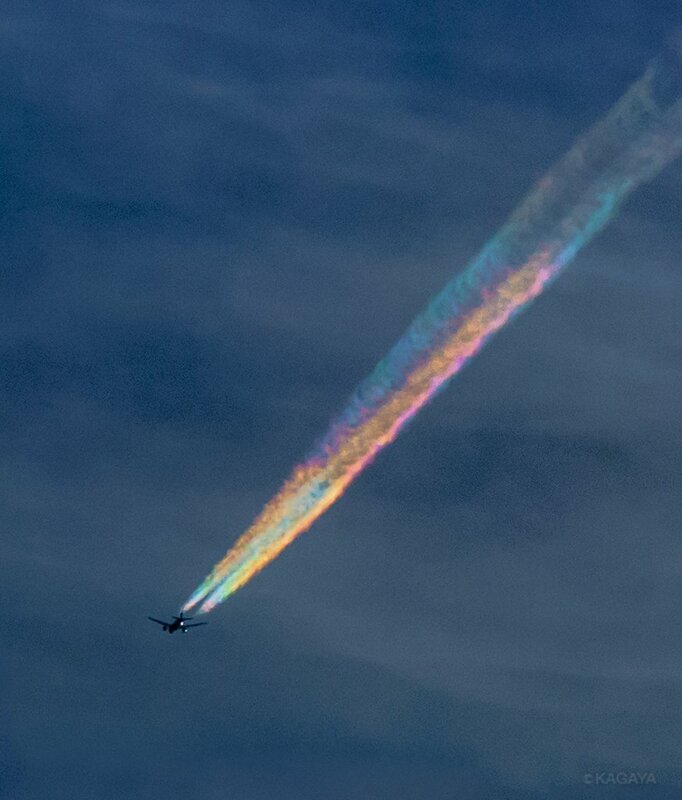 Amazing Rainbow Contrail Captured By Photographer.